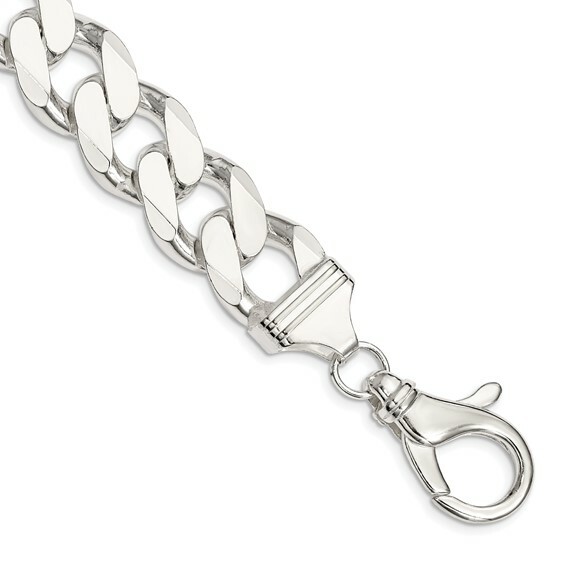 Sterling silver 9in heavy curb link bracelet has a fancy lobster clasp. Width: 16.2mm. Made in Italy. Weight: 87.12 grams.